This recipe is sponsored by our friends at BC Egg. All opinions expressed in this post are 100% own! In case you hadn’t got the memo, I kind of like food, A LOT! However, that fact also comes with a secret, I am a very picky eater! Furthermore, I am one of the worst people to go for breakfast with as I don’t like eggs! I’m a lunch/dinner kind of girl! My husband and girls LOVE eggs! Until I moved in with my husband, I never knew how to cook an egg beyond a dessert option like my infamous Pavlova! Eggs are a major food in the house and have been for years, however, I still won’t eat them. I love the idea of eggs but I cannot stomach the texture. Zoe’s favourite meal began at a young age, sitting on Daddies knee and eating half his eggs! Today, Zoe will consume an egg a day, and I cannot complain! They are easy to cook in and provide many essential vitamins and minerals that our bodies need for good health! Growing up my mom and dad both loved eggs and they were a vital part of breakfast! I have very vivid memories of watching my mom cook eggs and thinking she must be magical. No matter how many things were going on in the kitchen they turned out exactly as my dad liked them. Home Economics was one my favourite classes in school. I was finally able to learn that magic I believed my mother had in the kitchen. We began by learning the basics of eggs. Even back in the 90’s, people knew eggs were good for consumption, however, back in that day, it was said that feeding eggs to children before the age of one could cause an egg allergy. Thankfully new research suggests otherwise: feeding baby eggs, and other allergens, by six months of age can actually decrease the risk of developing an allergy. Eggs are an excellent source of high-quality protein, containing all nine essential amino acids that our bodies cannot make on their own. Eggs are low in saturated fats, contain no trans fats and are a natural source of calcium, iron, zinc, lutein, zeaxanthin, and Omega-3 fatty acids. So in the simplest terms, a pretty darn good important food when you have two young growing girls! You can follow BC Egg on Twitter or Facebook to get more information about eggs and why they’re so good for the entire family! We were taught how to pick the correct eggs for our recipes and what to look for when making purchasing decisions! We went on to learn the anatomy of an egg. The best way to learn is to get hands on. 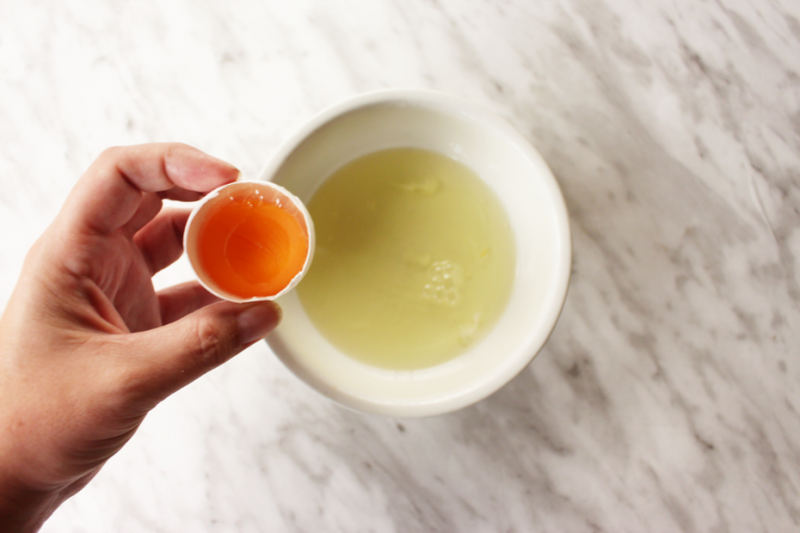 Separate the yolk from the white and truly dissect the egg. What do with it you do once you’ve pulled it apart? I’ve held onto my Home-ec binder all these years as I hope to one day pass it down to my girls. Moving out all I wanted was a recipe book from my mother of her favourite recipes and I never did get it. 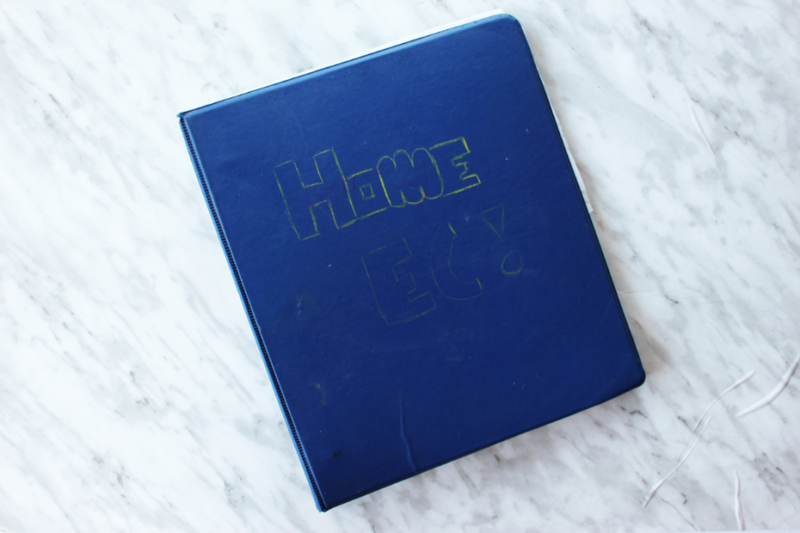 Even though this is a school binder, it represents where it all began, how I fell in love with cooking and houses some of my favourite basic recipes like the one I’m sharing with you now, the very first recipe I ever baked on my own. An Australian classic, the Pavlova and I got 5 out of 5! What is Pavlova you ask? Pavlova is a meringue-based dessert with a crisp crust and soft, light inside, usually topped with fruit and whipped cream! 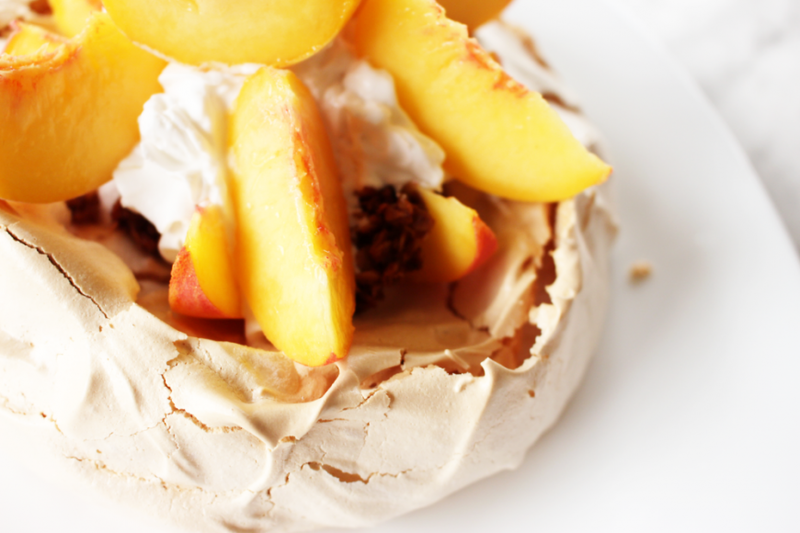 So what is the difference between meringue and Pavlova? 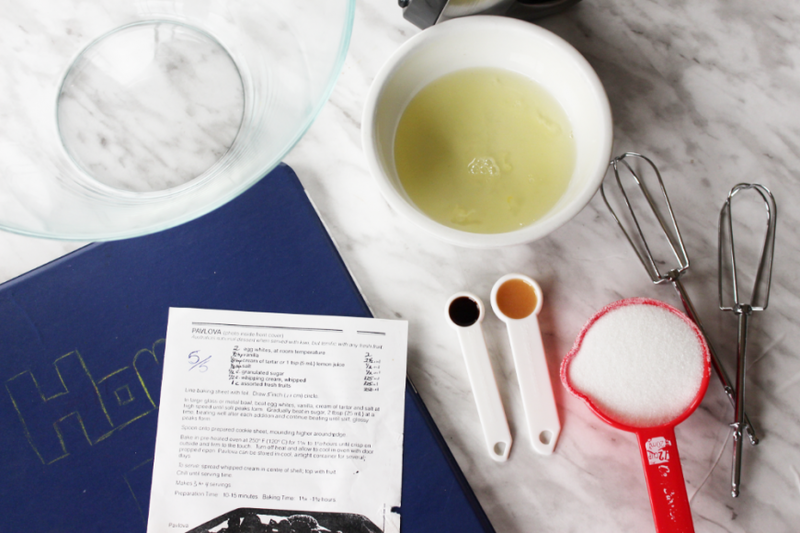 The main difference between Meringue and Pavlova are the ingredients. 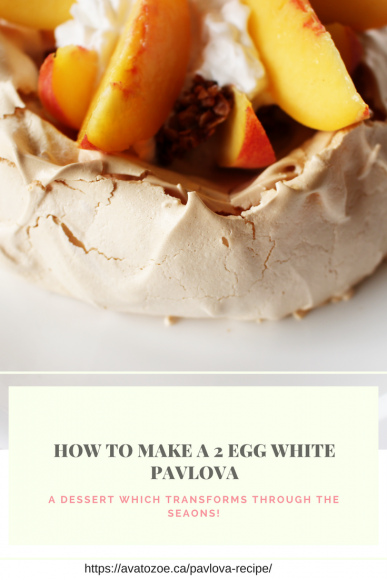 Even though Pavlova is a Meringue based dessert, you have to add vinegar and cornflour to the basic ingredients of Meringue which are egg whites and sugar to achieve a marshmallow interior. The most difficult part aside from getting stiff peaks is not eating the entire thing in one sitting! Wait no further, here is the perfect Pavlova recipe guaranteed to impress even the toughest of critics, your children! 2. 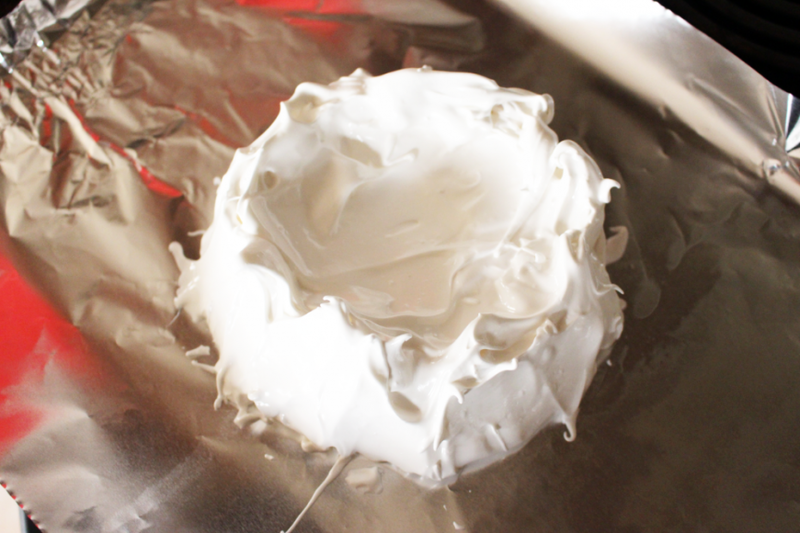 In a large glass or metal bowl, beat egg whites, vanilla, cream of tartar and salt at high speed until soft peaks form. Gradually beat in sugar, 2 tbsp at a time, beating well after each addition and continue beating until stiff, glossy peaks form. 3. Spoon onto prepared cookie sheet, mounting higher around the edges. 4. Bake in a preheated oven at 250 F (120C) for 75 to 90 minutes until crisp on outside and firm to touch. Turn off heat and allow to cool in oven with door propped open. Store Pavlova in a cool, airtight container for several days. 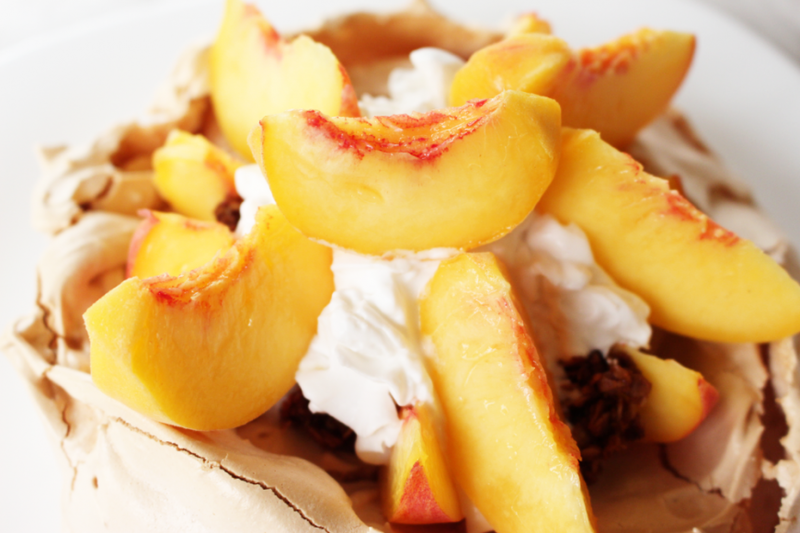 For this recipe, I topped with homemade cinnamon granola and fresh Okanagan peaches and coconut whipped cream. You can top your Pavlova with whatever fruits and toppings you choose! Chill until serving time! Makes 3-4 servings Prep time 10-15 minutes Baking Time 1 1/4 to 1 1/2 hours. This Pavlova recipe is so easy to make once you visually know the difference between a soft and a stiff peak. With endless fruit combinations and variations, this recipe is guaranteed to impress. 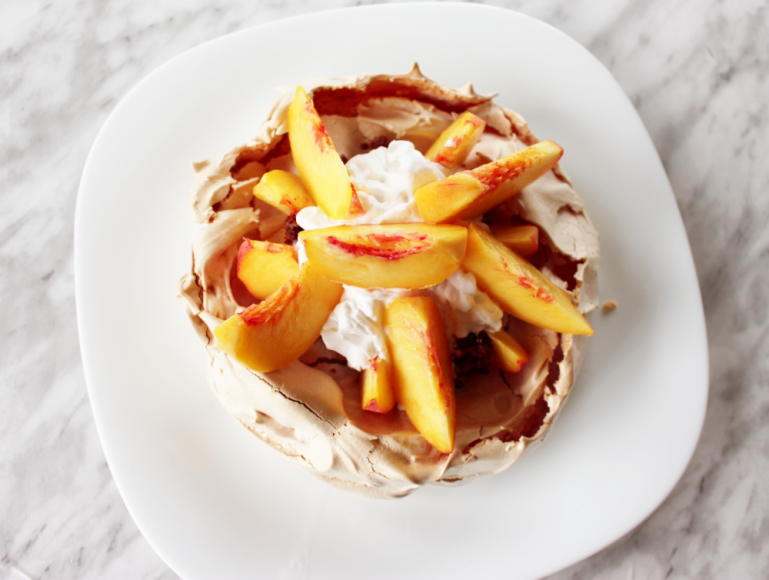 If you’re looking for a sweet, light recipe that you can transform throughout the seasons, this basic Pavlova recipe will knock you off your socks! Save it for Later by Pinning this to your board! Need some inspiration? 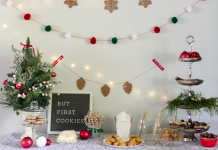 Check out what inspires me on my Pinterest Board HERE! 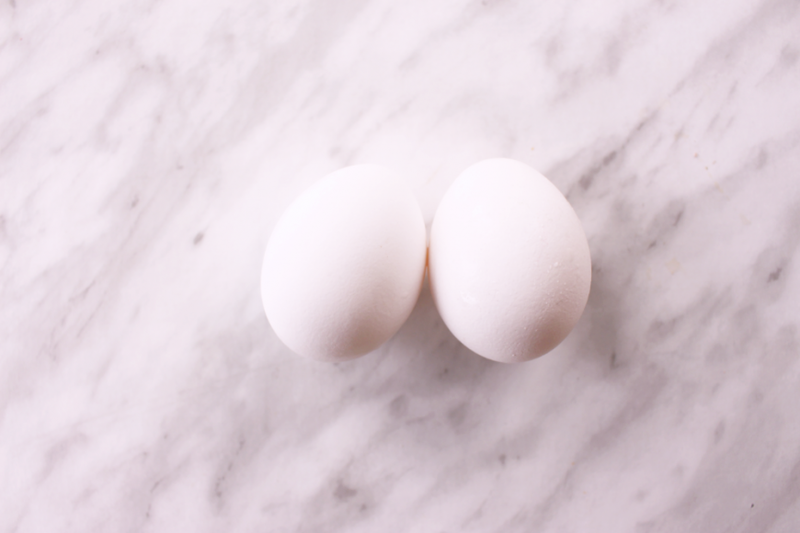 Or to learn more about Eggs and all their amazing benefits, head over to our friends at BC Egg for a wealth of knowledge! Previous articleThe Secret Dinner: A Night To Inspire! Next articleSelf-Love Is Not Easy But It’s Worth It! 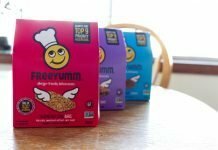 This information about introducing allergens is so important, I’m grateful that we’re encouraged to introduce these previously ‘tricky’ foods at an early age, especially since our own family’s journey with diet and health. 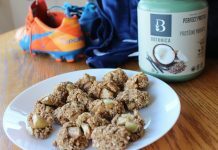 This recipe looks amazing, I absolutely can’t wait to try! I can’t believe in my 50 years I have never tried Pavlova, sounds great though!